Visiting the most expensive cities in the world will reveal some great budget travel similarities amid all the diversity of experiences. One of the first common situations involves a big item on your travel budget—food costs. In sections of the expensive city, you'll find certain areas that tourists visit frequently. For example, visitors to Times Square in New York are apt to encounter many of the chain restaurant options they left behind in their hometowns. They'll also find other places that charge extraordinary prices for fairly ordinary food. There are some good restaurants in this heavily visited area. But the odds of finding a special or authentic New York dining experience will improve as you move away from Times Square. 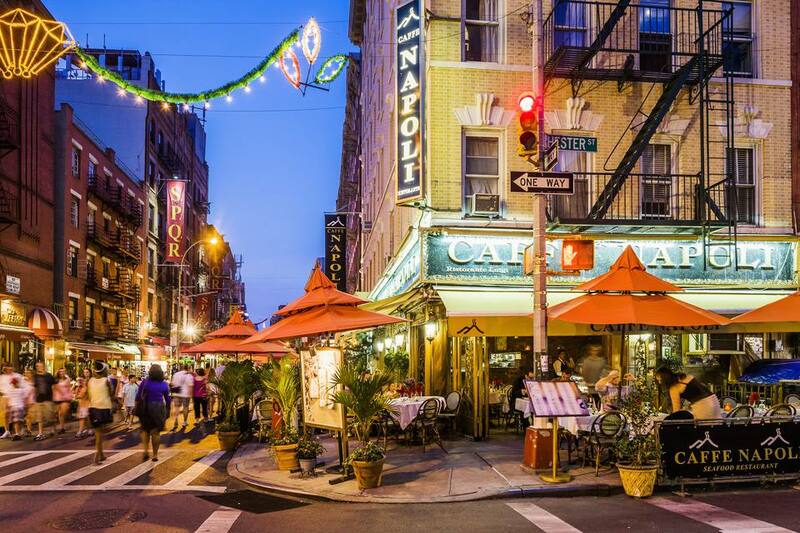 Give your regards to Broadway, but make restaurant visits in other parts of the Big Apple. Look for the most visited areas and avoid them, especially at mealtime. In an extremely large city with many attractions, it's tempting to join the long lines of tourists who board sightseeing buses for a multi-hour drive-by tour. It's not always a bad idea. Sometimes, you can use such a journey to get your bearings and plan second, longer visits to some sites in the hours and days to come. But don't automatically expect a memorable experience on one of these bus tours. You'll see so much in so little time that most of the information will escape your memory within a few hours. It's far better to concentrate your tour budget on a few smaller areas. Take a free walking tour of a neighborhood and learn its role in the history of the city. Meet the people who live there and sample their cuisine. Hire a guide who can introduce you to these things. You might not cover every square mile of the city, but you'll go home with vivid pictures and captivating stories. Compare the quality of that experience with those of the people who piled on a tour bus for a few hours. Venice is a must-see city, but it can be expensive to visit. Summer visitors battle crowds and fight for the few budget hotel rooms that are available. Restaurants in some areas are crowded and pricey. What if you were to visit Venice as part of a cruise itinerary? In your cabin, you'd be able to put aside worries about expensive, scarce hotel rooms that might be miles from the center of Venice. Your bed aboard the cruise ship relatively close to the city. The same is true of food selections. You'll be eating a meal that's already paid for on the ship. Pick up an authentic Venetian snack ashore if you wish. But you'll be able to skip the expensive, tourist-packed restaurants that threaten to devour a typical budget traveler's resources. Not all expensive cities are cruise ports. But for those that fit the description, why not check for cruise deals that could save you money by stringing several expensive cities into one shipboard itinerary? Did you know that colleges in London rent out empty dormitory rooms during the summer recess? It won't be the fanciest stay in the city, but it's likely to be well-connected to mass transportation and affordable dining. It's a good strategy to seek out the neighborhoods in an expensive city that host colleges and universities. It should come as no surprise that there is a selection of inexpensive restaurants in these areas, catering not to well-heeled tourist budgets, but rather to the limited resources of students. Beyond being economical, you often find a few eateries that rank among the most interesting in the city. In addition to lodging and dining, you can find some of the best low-cost entertainment in a university setting. Northwestern University's renowned theater program stages outstanding productions at costs below many other live entertainment options in nearby Chicago. Find out what's available in the college theaters and music conservatories in your chosen expensive city. City passes are not always the best bargain in an expensive city. Much depends on how long you'll stay and which attractions are on your wish list. Individually price all the attractions you plan to visit and add up the total cost. Then look at a number of city pass options, which usually are sold in time increments of one to five days. Keep in mind that many of these passes allow you to skip long lines at the initial ticket window. You simply flash the pass at the front of the line and enter. That benefit alone is quite valuable. Time saved on vacation is a big part of successful budget travel. How many inexperienced travelers have you known who return from an expensive city with horror stories about lodging? They paid $500/night to stay in a small room that was no better than the local motor lodge next to the Interstate. Anyone who tells a story like that failed to shop for affordable rooms. Even in the world's most expensive cities, there are safe, clean, and reasonably priced lodgings. They will be more difficult to find, but they exist. Sometimes luxury rooms can be found at two-star prices. Check for hostels that offer private rooms, or consult a bidding site such as Priceline. Look for locals who are renting vacation apartments on sites such as VRBO and Airbnb.com. Set a budget for lodging and don't stop looking until you find a place that matches both your financial resources and your travel needs. Those train schedules and route maps can be a bit intimidating at first glance, especially in the largest systems. Take a deep breath and vow that you will figure out the needed information. It will pay huge dividends. Those who bypass these efficient ground transportation options wind up paying hefty taxicab fees, which come with expected gratuities. There are times when taking a cab makes sense. Late at night in unfamiliar areas, a taxi could be your safest option. But skipping cheap mass transit usually is a mistake most budget travelers can't afford to make. We've saved the biggest mistake for last. Some budget travelers deal with the problem of expensive cities by either skipping those destinations altogether or making abbreviated visits. Think of the places you'll miss! One day in San Francisco, for example, won't be long enough to have a satisfying first visit. There's too much to see. Don't shortchange your itinerary in order to bypass a high-cost destination. Learn instead to make good choices in that expensive city.